Why Would a Dentist Need a Website? A dental website is an efficient and effective way for dentists to advertise their services online. Dental websites are mainly designed to promote the dental services, and they are the best marketing tool. Local patients can visit the dental websites to find out more about the procedures and services being offered by their local dentists. 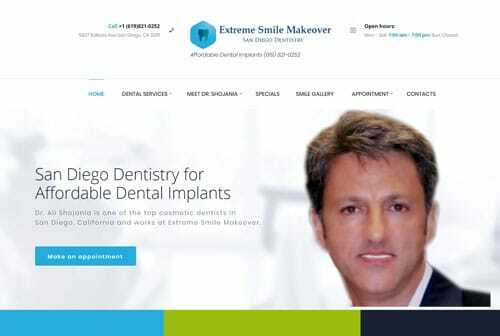 Many successful dentists have their websites not only for displaying their skills and expertise but also as a way of enhancing their dental practice. The dental website must be attractive enough to capture the person’s attention and informative enough to turn visitors into potential patients. The main focus of a dental website is to attract visitors and convert them to new patients. What a dental website looks like? A dental website must be impressive, well designed, and easy to explore. The dentist website must be user-friendly and should provide information quickly and clearly. The quality and presentation of the website, in a way, reflect the kind of service and professionalism one can expect at the dental practice. 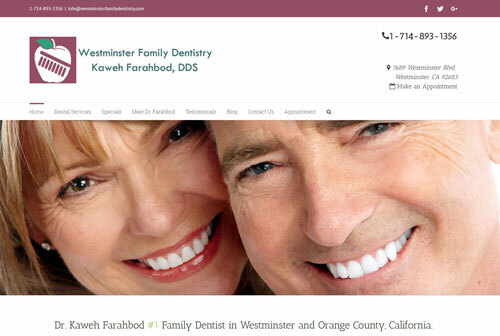 Nice layout and pretty images of the office are extremely important in a dentist website. A smile gallery section that shows “Before and After” images of the patients are also a great help to inform the visitors about the quality of services. A “Monthly Special” section is recommended for advertising the services being offered, such as teeth whitening, braces, etc. Besides images, videos showing various procedures and explaining new technologies can also boost your image and draw patients. As most patients (especially children) dread visiting the dentists, visuals showing a tastefully decorated office, smiling patients and a friendly staff help immensely to overcome fear. A brief introduction of the staff also helps, as it creates a sense of familiarity and the patient feels comfortable when visiting the office. On some dentist websites, the qualification and experience of the staff are also mentioned. There are different kinds of dentist websites, depending on their specialty. Each website is customized according to the area of expertise. For example, the website requirements for an orthodontist are entirely different from those for a cosmetic dentist or an implant dentist. What a dentist website contains? To create a connection with patients, the dentist website should send frequent updates and newsletters informing patients about any new changes or new technologies introduced. A Frequently Asked Question (FAQ) section should also be included where common queries from patients and potential patients are answered. Vital information such as address, contact number and business hours of the dentist are all mentioned on the home page of the website. Some dentist websites also include a map of the locations for the convenience of the patients. 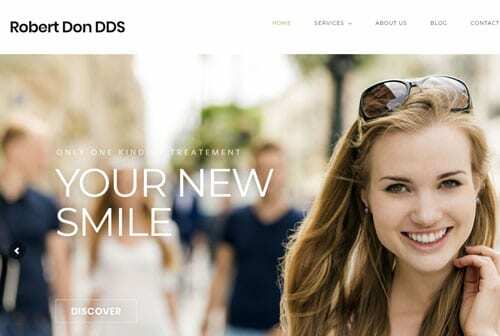 What is the next step after creating a unique dental website? For an impressive and unique dentist website, one must avail the services of experienced dental marketing consultants. They are experts in developing customized websites which are not the only customer oriented but are also search engine optimized so that the website is listed at the top of the search list of the popular search engines. 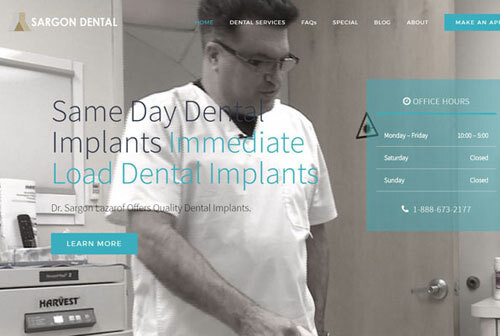 A well planned and attractive dentist website is essential for a successful practice.